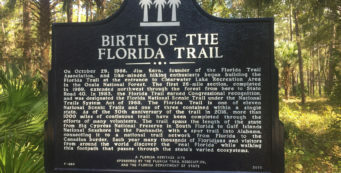 Ocala is surrounded by more than 200 miles of hiking trails, including two large segments of the Florida Trail along the Cross Florida Greenway and through the Ocala National Forest. 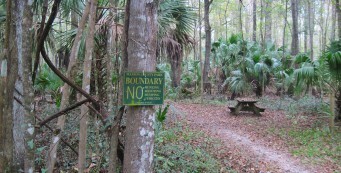 It is one of the most ideal jumping-off-points for hikers looking to enjoy a flurry of day hikes or a week or more worth of backpacking. 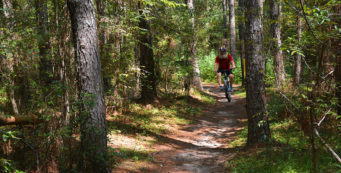 The Santos Bike Trails are renowned throughout the state for their diversity and difficulty, and there are some of the best paddling runs in the region nearby on the Silver, Rainbow and Withlacoochee Rivers and at Juniper Springs. 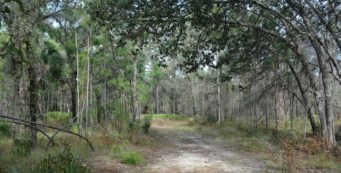 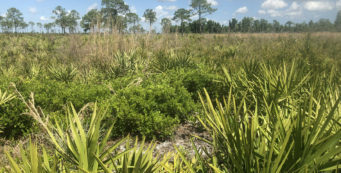 Florida Trail, Land Bridge TH to Santos- Between the Land Bridge Trailhead and Santos, the 7-mile linear section of the Florida Trail winds its way around horse farms to meander through stands of oaks and pines. 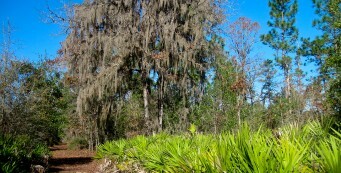 Florida Trail, Santos to Baseline- A 4.5-mile section of the Florida Trail between Belleview and Silver Springs Shores, the Santos to Baseline section on the Cross Florida Greenway is a linear woodland in suburbia. 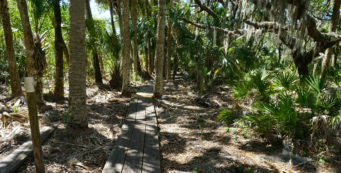 Florida Trail, SW 49th to Land Bridge TH- Enjoy rough and rugged terrain topped with a fluffy pine forest on this segment of the Florida Trail on the Cross Florida Greenway, which includes the Land Bridge over I-75. 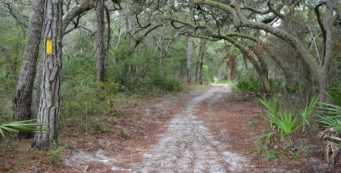 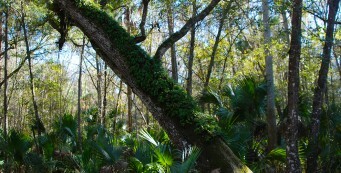 Santos Trails- With 30 miles of twisting, winding off-road bicycle trails that dip into old limestone pits, the Santos Trails, south of Ocala, are a mecca for cyclists who enjoy riding through the woods. 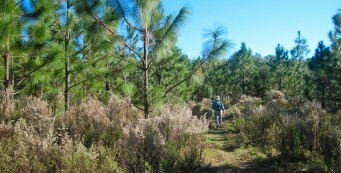 Santos Trails- Biking the Santos Trails for the first time this fall, I opted to leave my vintage Cannondale at home and try a rental bike for my first spin through these famed off-road trails south of Ocala. 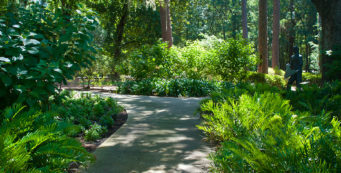 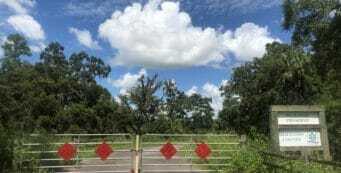 Sholom Park- Meditative walking: that's what's expected at Sholom Park, a private sanctuary in Ocala that opens its gates daily for the public to enjoy meandering trails through its well-manicured 45 acres. 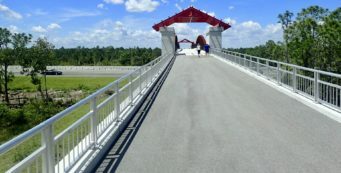 Silver River Connector- Built to showcase the Cross Florida Greenway, the Silver River Connector is a 3-mile round-trip from the Ocklawaha Visitor Center to Ray Wayside Park. 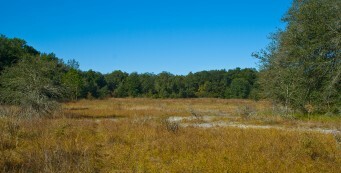 Silver Springs Conservation Area- Silver Springs Conservation Area protects upland habitats crucial to recharge of Silver Springs. 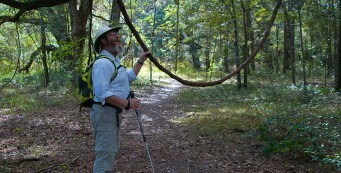 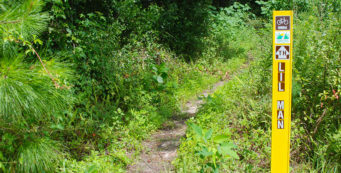 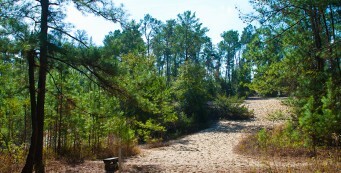 Two stacked loop trails (with a cross-trail on the upper loop) provide several options for hiking. 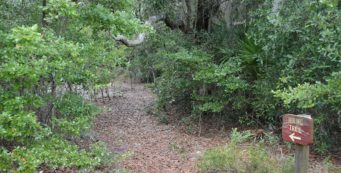 Silver Springs River Trails- With more than 4 miles of hiking in two trails, the River Trails of Silver Springs State Park are the park's most popular walks, as they lead you to views along the Silver River. 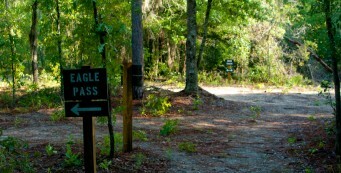 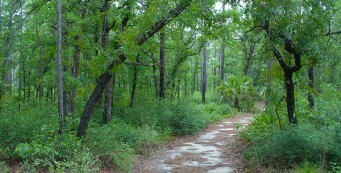 Silver Springs Sandhill Nature Trail- At Silver River State Park, the Sandhill Nature Trail (which can also be reached from the Sinkhole Trail) is a 1.7-mile loop through a longleaf and wiregrass sandhill habitat. 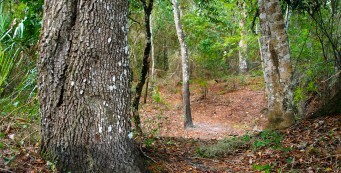 Silver Springs Sinkhole Trail- On the 2.5-mile Sinkhole Trail, take a hike around a giant sinkhole and explore the uplands above the Silver River at Silver River State Park. 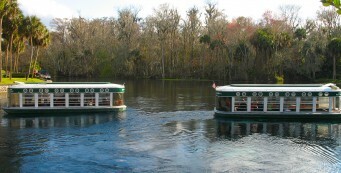 Silver Springs State Park- Silver Springs - one of the world's largest and deepest springs - pours out more than 550 million gallons every day. 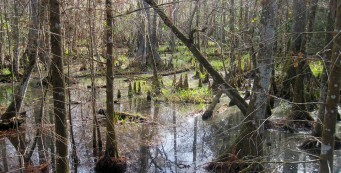 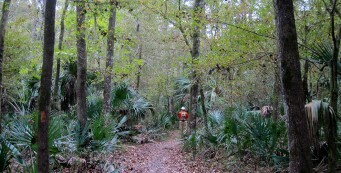 Silver Springs State Park protects not just the spring but the river's six mile floodplain as well.